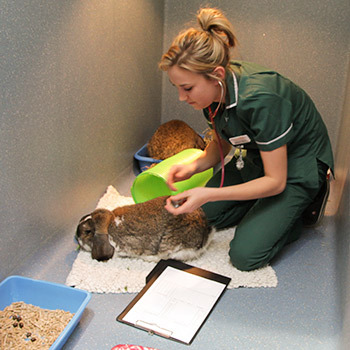 Our Hospital is staffed and equipped to hospitalise and care for all small animal species. We have four distinct hospitalisation wards, allowing for the separation and optimal care of different patient species. The kennels allow for everything from the hospitalisation of recovering day patients to the care of emergency and critical care patients. Our kennels for pre-operative and post-operative care are spacious and have under-floor heating. We have larger walk-in kennels for medium and larger dogs and separate isolation kennels with separate drainage and ventilation for the care of infectious patients.